Our mission it provide advanced hands-on training in an atmosphere that increases competency and efficiency with a focus on high end vascular testing. 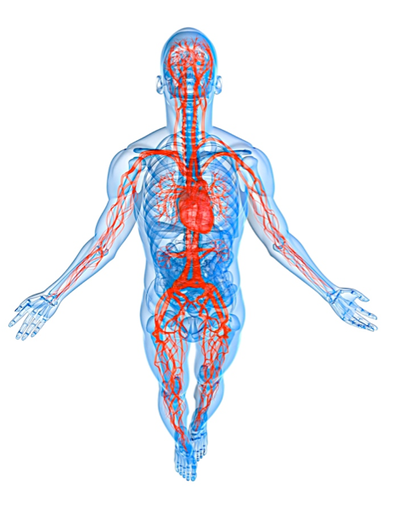 We train using the latest proven techniques, evidence based vascular medicine, and a passion for teaching the art that is vascular testing. Your staff won't stand around listening to people who used to perform vascular ultrasound. All of our trainers scan daily in IAC accredited facilties. Upper and lower arterial duplex imaging, bypass graft surveillance, and physiological testing (ABI, segmental pressures, TFI, etc). Venous duplex of the upper and lower extremities for (DVT and venous reflux/insufficiency) by a trainer with advanced RPhS certification. Intra-operative ultrasound guidance for VNUS Closure* or EVLT (Diomed) as well as pre-operative assessment. Abdominal vascular imaging including Aorta, Renal artery duplex, Mesenteric artery duplex, evaluation of the common iliac and external iliac arteries, as well as evaluation of extra anastamotic bypass grafts. Other more specific tests within each grouping such as cold immersion, TOS (thoracic outlet syndrome), and Allen's test. Registered Vascular Solutions, Inc. has been providing training to corporate partners for years and is the current trainer for the Corvascular Falcon in the United States. If you are looking for qualified proven vascular ultrasound training look no further. * Fee includes all of the trainers expense including travel, lodging, training material, and any time used to prepare for the training. In some cases due to increased travel cost for remote locations or high cost city centers an additional fee may be charged, however this is relayed on the initial quote. No Hidden Costs. CME's are included in the price. Onsite Hands-on Vascular Ultrasound Education - Providing Hands-on training in New York, Chicago, Miami, San Francisco, Atlanta, Dallas, San Diego, Denver, Philadelphia, Orlando, Kansas City, Portland, Houston, Minneapolis, Boston, Louisville, Memphis, Oklahoma City, St. Louis, San Antonio, Birmingham, Charlotte, Charleston, New Orleans, Seattle and any other city in the United States. Copy write 2014 Registered Vascular Solutions, Inc. All right reserved.